Networking has always been a critical component of any business strategy. Now, technology allows faster, more sophisticated networking, from enabling your business to collaborate efficiently as a team to communicating with customers anywhere in the world. As your business grows, the performance, reliability and availability of your network becomes even more important. 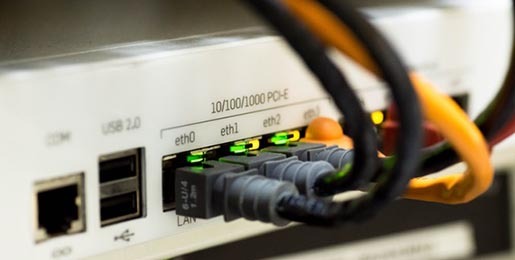 Our networking service is more than just connecting copper wires. Bespoke Computing provides hardware, software, installation and configuration to maximise the way your business speaks internally and externally. Do your employees require collaboration tools, or remote access? How can we implement wireless networks into your office? The possibilities are endless. Network planning and design is a big part of what we do, and allows us to construct a fully integrated, efficient system for your business from the ground up. We call it topology, and it’s the way we arrange the elements of your network. That includes both Physical Topology, which involves the arrangement of your devices, cabling, etc., and Logical Topology, where we plan how data moves around the network. If you would like to talk to Bespoke Computing on using our expertise to implement an effective network within your business, call us on 0845 004 3025 or please fill out the enquiry form below.